It is vital that our children have a positive start. We have strong links with our pre-schools and staff make visits to children and speak to keyworkers to share valuable information. We have a thorough induction programme which include a series of visits for the children and parents including ‘Songs and Rhymes’, ‘Stay and Play’ and ‘Teddy Stay and Play’. Parents are also invited to a attend a number of information and workshop evenings. 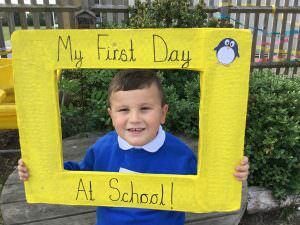 Home visits are also an important part of our induction as they allow children to meet their class teachers in their safe and comfortable environment. A slightly staggered start allows each child to gain confidence and independence in following routines, in knowing how to use the amazing and inviting array of learning environments and to settle happily in play-based learning. 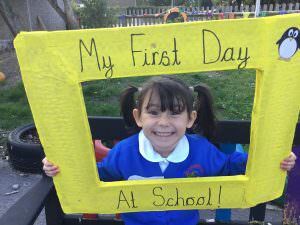 As children move up through our school they have the opportunity to meet and work within their new classes on two consecutive mornings in July so they gain confidence and develop new relationships with staff and children. In addition to this the children have many opportunities to visit and work in their new year class environments whilst having special story times and become ”Super Spies’ for a session! Children with particular needs are given greater support, orientation and social stories to make positive transitions. We are fortunate to be able to work closely and effectively with our Cupernham Junior School colleagues to ensure effective transition activities and information sharing. 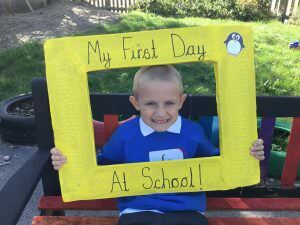 We have very positive feedback from our colleagues about how comfortably and confidently the children adapt, flourish and mature. We also seek links and opportunities over the year for buddying, audiences for special activities, participating in assemblies and joining together for special events.